The Code for Git merge is one of the most sophisticated pieces of software ever written. There is so much stuff that goes inside during a merge that its just mind boggling. Just for that alone, Linus could be considered a programming genius. Too bad for other geniuses, he has Linux kernel on his resume :-D.
As the title suggests this article is about Octopus Merge in Git. 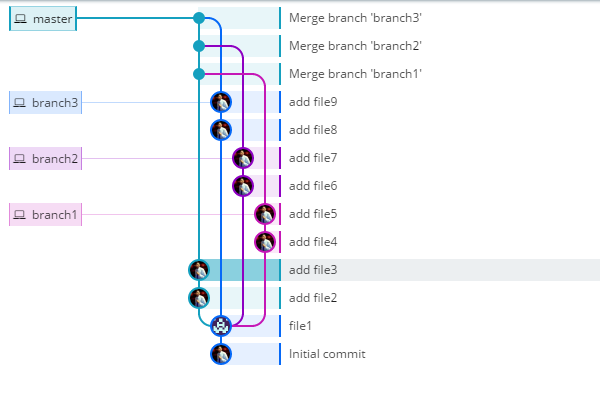 For this I hope you know what a basic Git merge is and what it means to merge. 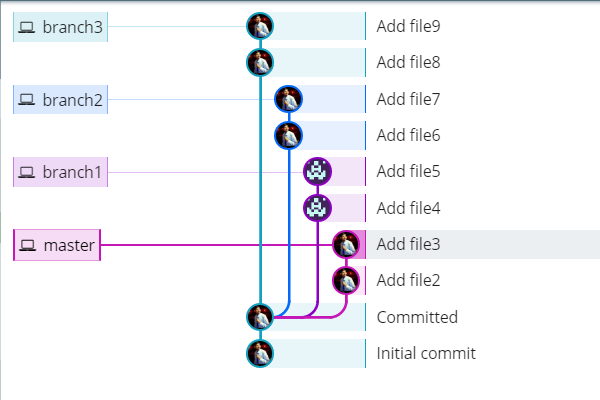 If you're completely unfamiliar with Git, then I've no idea what you're doing here. You better read up on some Git 101 before jumping to this article. 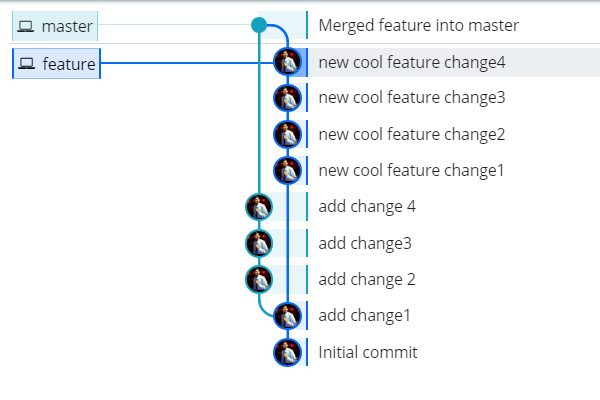 Anyway, Just to brush up, this is how a simple/familiar Git merge goes ..
We have a branch called feature that diverged from master at the second commit and went to have two commits of its own. 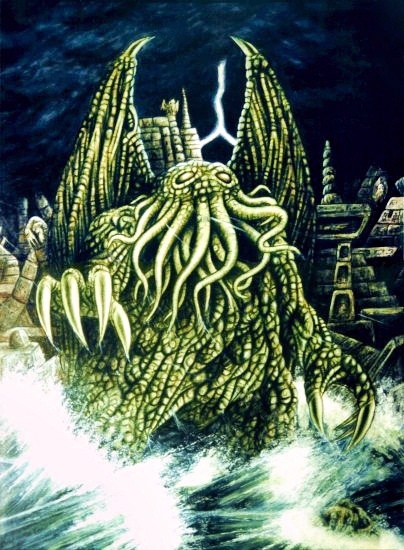 Note: For the branch pictures in this article I am using a Git GUI tool called Git Kraken. I have been trying it a few days now and it looks quite promising. I am a fan of its clean and minimalist UI and have been using it extensively for the beautiful visualization of branches. And above all, It is free for personal non-commercial use. So, you can try it out for free. Now you want to add those cool new changes on the feature branch to master. The way you do it is by merging (Let's not talk about Rebasing for now. We will look at it another time). So, when you merge this is how it looks like. This is all the usual stuff that we are all familiar with. Now there is another type of merge called the The Octopus Merge. At least some of you must have heard about it either from an online video or from a colleague in your office that seems to know everything. Either way the Octopus merge is a really fun way of Merging. You probably won't get to do this at your work as a lot of companies think this complicates things and we all know how much Companies hate complexity. Anyway, Let's see what it looks like. I have a local git repository with three branches branch1, branch2, branch3 along with master. 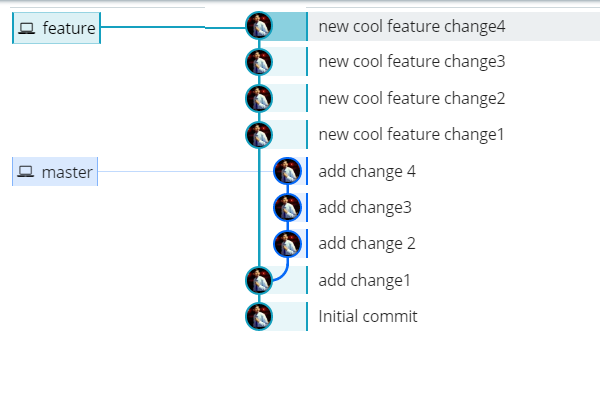 All four of these branches have two extra commits from the point they diverged. Now if you want to merge them, the usual way would be to merge two branches at a time to finally get to the final combination after three merges like so. This will merge all the three branches to master. The branches will look something like this. Do you see the reference of Octopus now? Now, if you know anything about octopuses, you might be wondering that we only have four legs here while an Octopus has 8. Well you are right. Octopuses do have 8 legs (technically 6 as two of them are used as hands) but 4 is good enough. 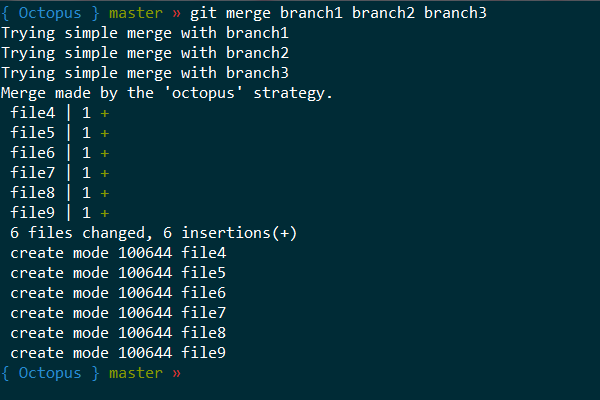 Actually any merge can be called Octopus if you're merging three or more branches. If you are using Git for sometime, you might be wondering, If Octopus is so freaking cool, why haven't more people heard about it and Why are more people not using it. Well, you are right my friend. Octopus is awesome for sure, but as I said it certainly does complicate things a lot especially when dealing with merge conflicts. 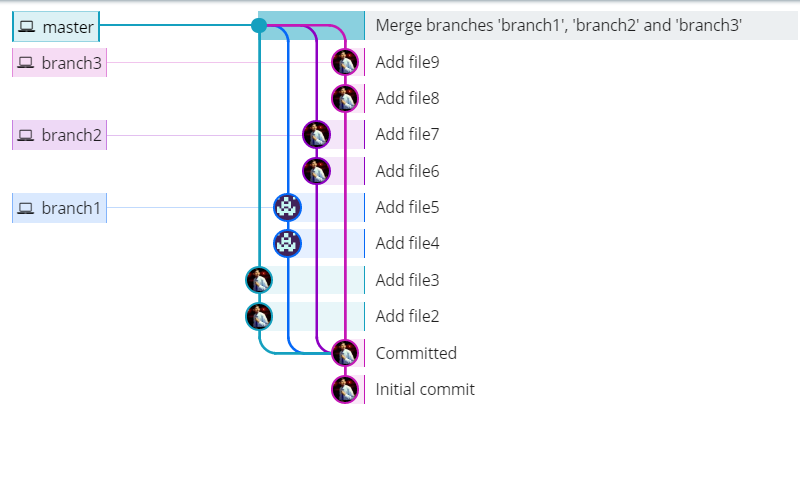 Merge is hard enough as it is when dealing with just two branches. But if you are merging 5 or 10 branches together it feels like you're doing a complex surgery. You have to be really careful in that case and I am not even sure if any modern GUI tools support diffing 10-way. Also a lot of people tend to go overboard with Octopus. So, a lot of companies don't really use this. A lot of people won't even consider this for their Merge strategies. A rule of thumb to follow with Octopus is to never overdo it. An 8-way octopus merge though borders on crazy hard and insane, is fine but more than that is an overkill. The situations where you have to merge more than 5 or 6 branches tend to be very rare and in those cases may be you can go for an Octopus on a subset of branches at a time and do a Octopus for those. Or may be rethink your merging strategy. Well, That is all for this article folks. See you again in the next one. Until then, Good Bye. Subscribe to Freblogg's RSS feed. Its a great way to get all the new articles directly. Special Thanks to Git Kraken team at Axosoft for developing a great tool like Kraken.